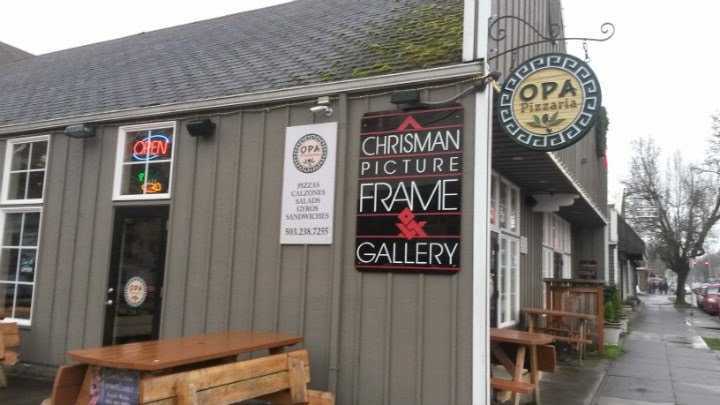 Opa Pizzaria is located on SE 13th Avenue (Sellwood neighborhood) in Portland, Oregon. 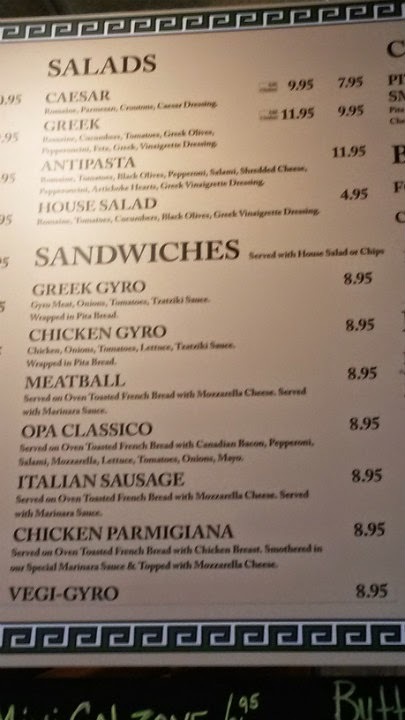 An Italian and Mediterranean menu of pizza, calzones, gyros, and sandwiches on the menu. Basically, if you're dining in, walk up to the counter and order, then the food comes to you. 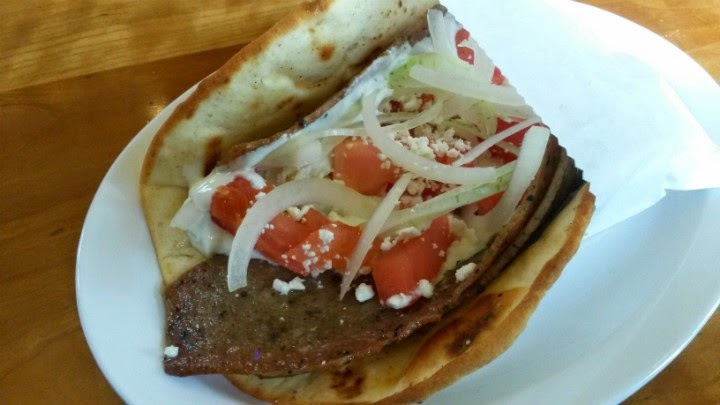 I met some friends for lunch and craved a gyro this time. Gyros generally come with choice of salad or chips, but you can also get it a la carte and save a couple bucks if need be. 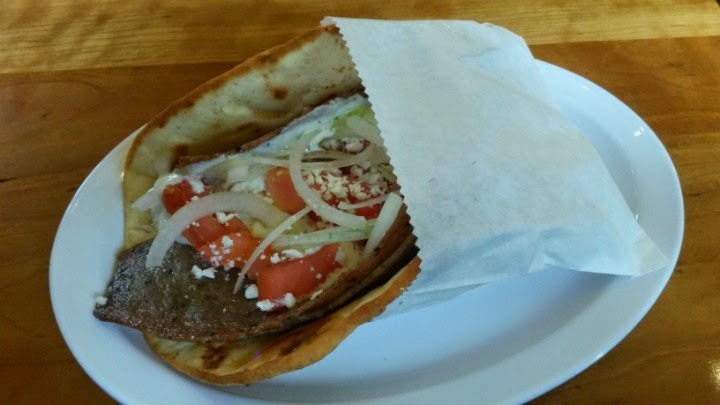 The gyro here ($6.95 a la carte) was a good choice. Looked like commercially shaven gyro meat at initial glance. I added feta cheese for 50 cents more. For me, the star was the pita, excellently toasted and thinner than the chalupa-like, puffed pitas I've seen elsewhere. That pita still held everything together. Fresh vegetables (tomato and onion). Very good tzatziki. Pizza sizes range from small to large. A standard, uniform browned crust, possible some nice charred spots. Depending on the size of your group and everyone's appetites, pick a few pizzas and go to town. Ask the workers about any specials. 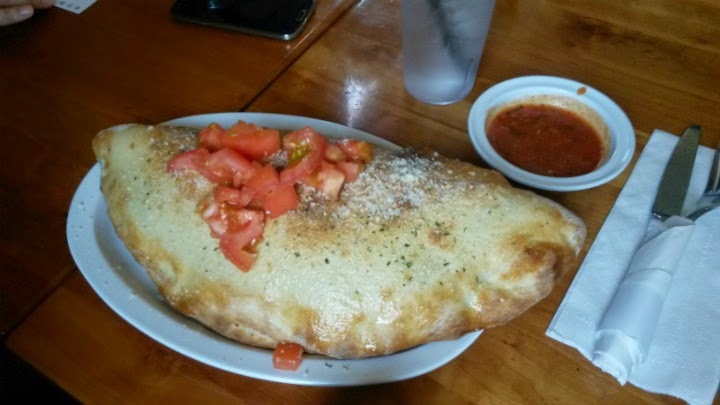 Calzones can be small or regular-sized. Small would probably be more an appetizer. 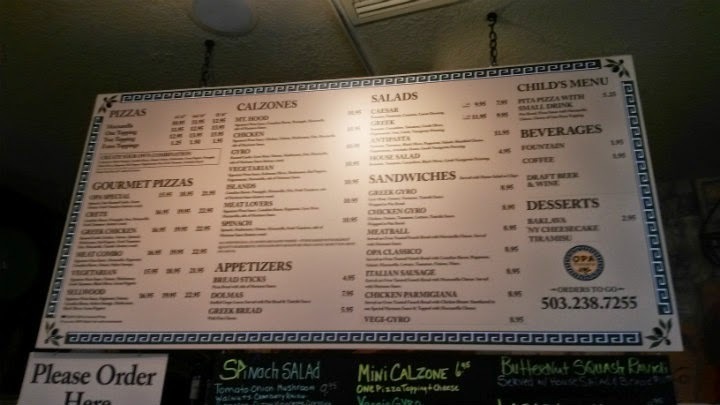 The regular-sized calzones should feed most appetites. 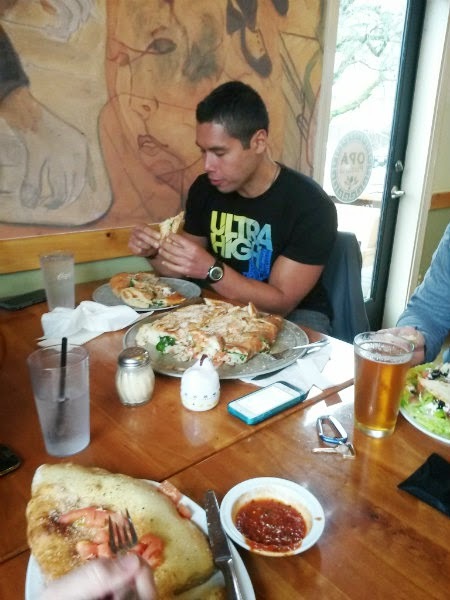 And then there's the Monster Calzone Challenge here. Basically, it's a five-pound behemoth that probably needs its own island in the Pacific Ocean. 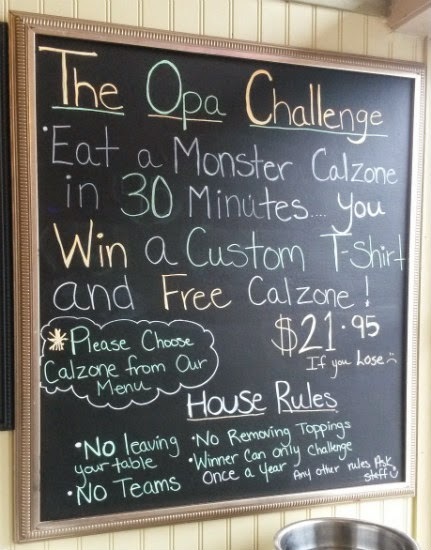 You can pick any calzone on the menu for the 30-minute challenge. 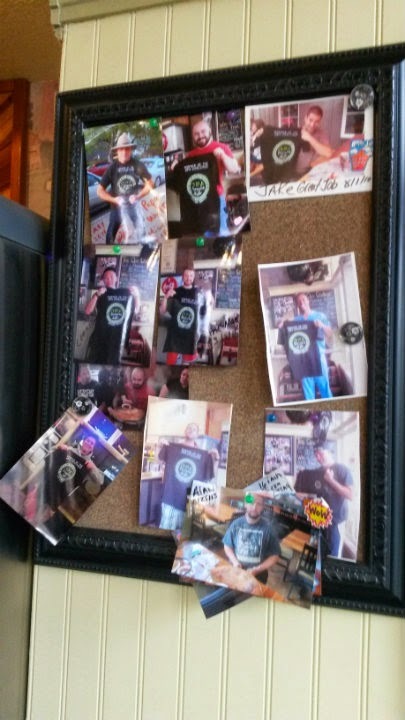 Finish it all in once sitting, and the $21.95 meal is free -- plus a T-shirt and photo on the wall. Roughly 1 in 10 have finished to date. My friend -- with an appetite the size of the solar system -- wanted to take the monster on. 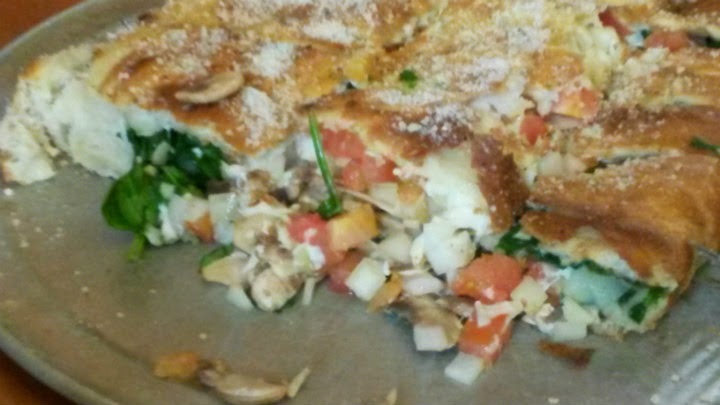 He chose the spinach calzone, with spinach, mushrooms, tomatoes, onions, and mozzarella. During the challenge, he told me it was delicious. See the video below for how he fared! I love that it's also a reasonably priced challenge. For those wondering, after seeing the challenge calzone in person, there's no shot I could pull it off. But if you have a huge craving for calzones, I'd give it a go.